Come join us at Woodchuck Lodge for two events next Saturday 6th April, 2019: a birding walk and a talk on how to attract birds to your yard and discourage predators. 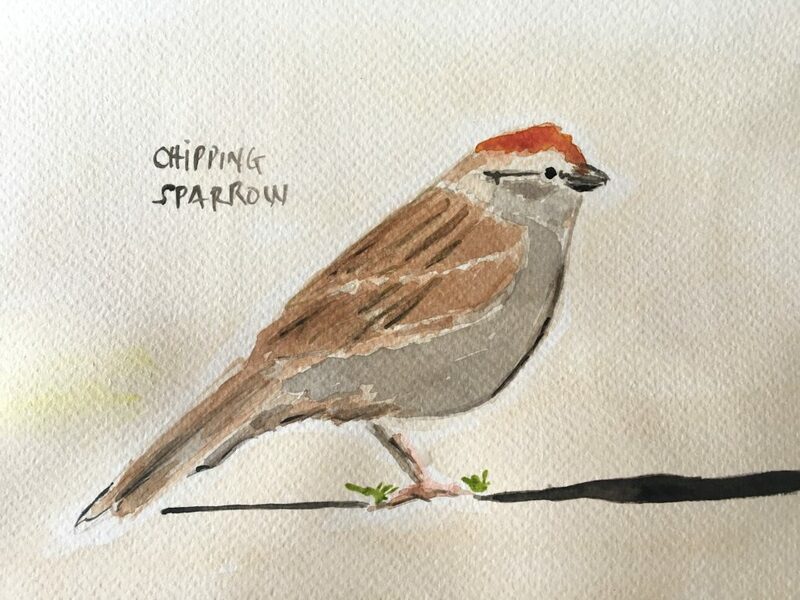 Join birding enthusiast Henry Wagner of SUNY Cobleskill and Park Naturalists for an outdoor foray in search of the birds of early spring, as we celebrate the date of John Burroughs’ birth. Affectionately known as “John O’Birds”, the renowned Catskills naturalist (1837-1921) waxed especially romantic about the “return of the birds,” bringing millions of Americans to a heightened appreciation of nature during a critical period in US conservation history. Bird sightings found at the Memorial Field will be embellished with pertinent quotes from Burroughs’ vibrant essays. This program is open to the public free of charge and children are welcome. In case of inclement weather, the program will be cancelled. The group will meet at John Burroughs Memorial Field, John Burroughs State Memorial Historic Site, 1067 Burroughs Memorial Road, Roxbury, NY 12474 at 10am on April 6th, 2019. The walk will end in the same place it began at noon. Walkers are encouraged to bring binoculars and sturdy shoes as they will be walking in a combination of woods and field. For more information, please call Mine Kill State Park at (518) 827-8685 or go to our Facebook page. This event is sponsored by NYS Office of Parks, Recreation and Historic Preservation. This year’s proceeds will go towards the restoration of Mr Burroughs’ apple orchard. After the walk, please join us at Woodchuck Lodge. We will demonstrate best management tips to entice the bluebirds, encourage them to nest and how to discourage predators. Meet us on the front porch of Woodchuck Lodge at noon, rain or shine. Family registration fee: $30. One box per family, please. RSVP quickly! Contact Patti Rudge at 845-254-4126 to reserve your box. 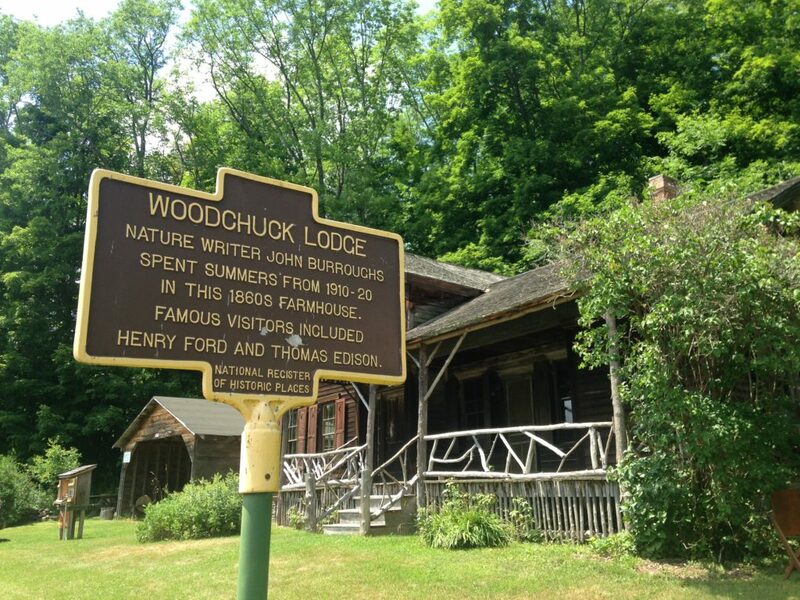 Checks are to be written to John Burroughs Woodchuck Lodge and mailed to Patti Rudge, 50 Brown Road, Big Indian, NY 12410. “When nature made the bluebird, she wished to propitiate both the sky and the earth, so she gave him the color of one on his back and the hue of the other on his breast”. This entry was posted in Events in the Catskills on March 29, 2019 by JNUrbanski.